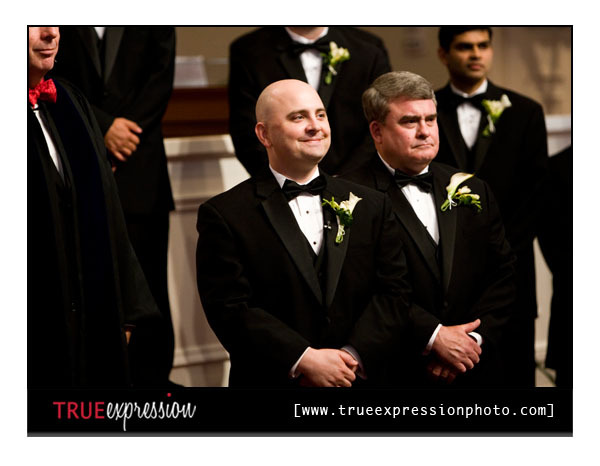 Don't you just love the look on the groom's face when he sees the bride for the first time? 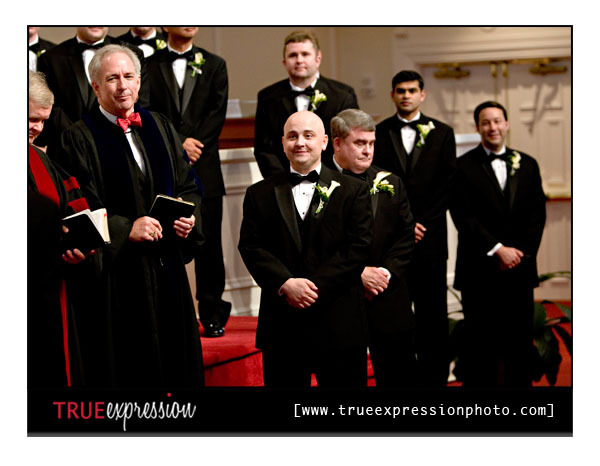 It is definitely one of my favorite moments of the wedding! 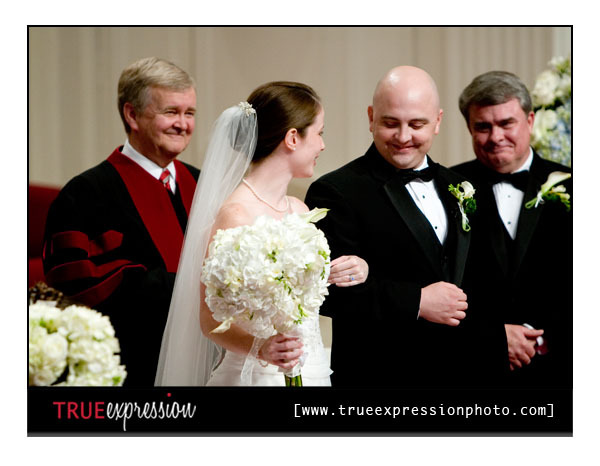 Here is one of my favorites from Perry and Sara's wedding that I shot with Jessica Messer. I absolutely love this shot of Perry the moment he sees Sara for the first time. 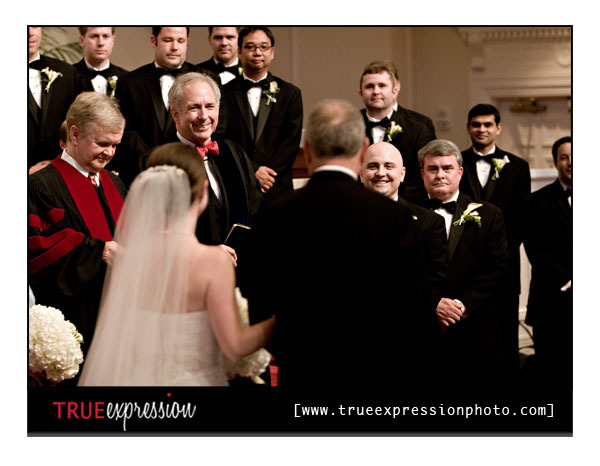 Just watching the way he looks at her from the moment she walks in and as they are saying their vows, you can see so much love in his eyes. 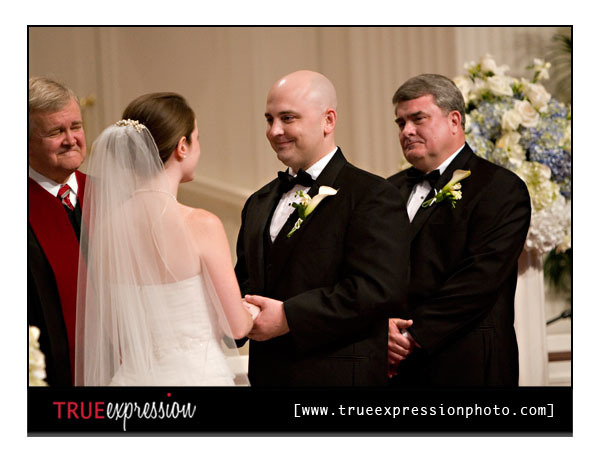 These are great:) Love the expression he has when he looks at her. Its like no one else exists.